Inspired by the majestic mountain peaks of the Pacific Northwest, Tahoma flower is top grade cannabis derived from the most effective growing methods. This maximizes quality, and enhances the smoking experience. Tahoma…premium flower for the true cannabis connoisseur. 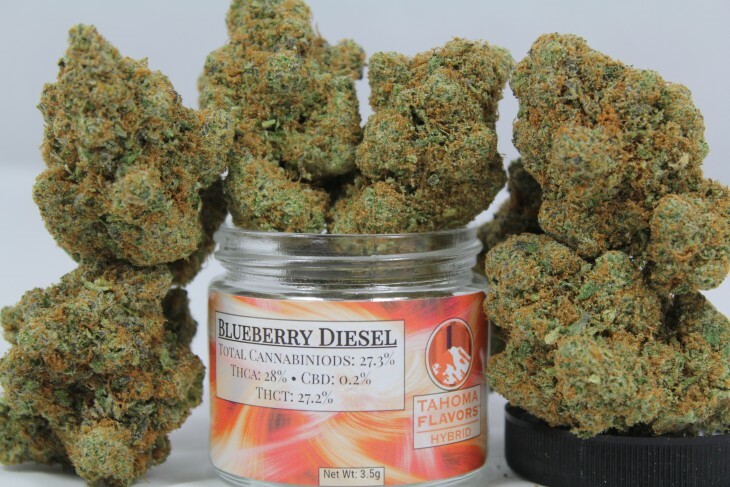 An indica leaning hybrid, Blueberry Diesel produces beautiful, dense buds, covered in trichomes. In addition this produces some of the most alluring aromas imaginable…just like warm blueberry pie fresh out of the oven! Double your pleasure with this Double Dream! Double Dream’s buds are large, dense, skillfully manicured, and covered in trichomes. This pairs perfectly with its fruity & spicy aroma, much like a fine wine! With possibly the widest selection of flavors in Washington, Tahoma Flavors pre-rolls are super convenient in our fast placed everyday world! Accept not substitutes. 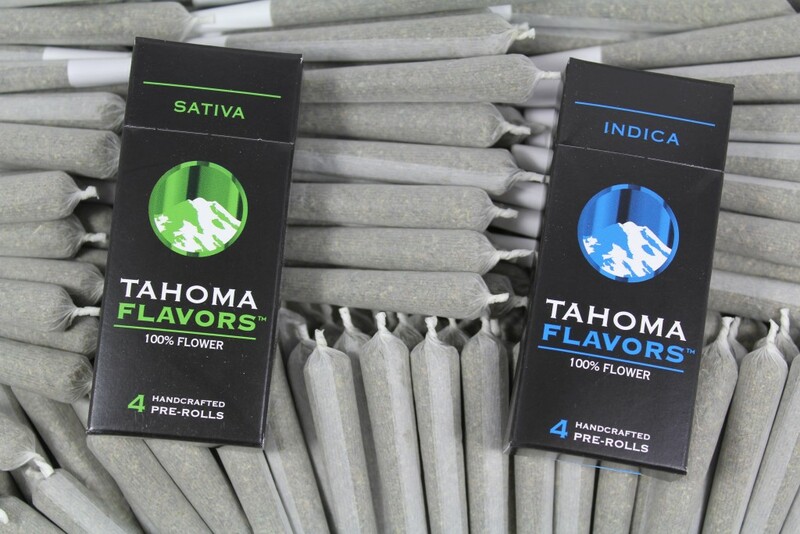 Tahoma Flavors, we roll it…you smoke it! Available in stylish jars, convenient pre-rolls or BOMBs!